With Oscar nominations set to be announced, it’s time for the Haiku Review to weigh in on the best movies of the year. From a pair of films honoring the early days of filmmaking itself to a handful of big budget sequels, from baseball to The Boy Who Lived, from hackers to hillbillies, 2011 provided us with some top-notch entertainment. Rush to the multiplex or ready your Netflix queue: these are the ten films that get the Haiku Review’s 17-syllable stamp of approval. What could have been nothing more than a risky gimmick – A silent movie! In 2011! – turned out to be one of the year’s greatest surprises. 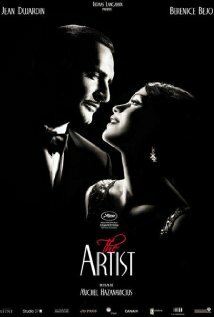 Featuring excellent performances from stars Jean Dujardin and (the entrancing) Bérénice Bejo, this ode to the early days of Hollywood will plant a long-lasting smile on your face. In a year lacking any overwhelming favorites (à la last year’s Social Network), this film charms its way to the top of the list. Seven years after critical darling Sideways, Alexander Payne returned with this meditation on midlife malaise and the importance of family. 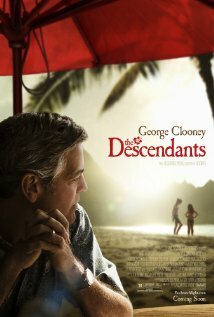 As a man who learns his comatose wife was having an affair, George Clooney – never more schlubby, never more magnificent – shows why he is one of Hollywood’s greatest treasures. Once again, Oscar-winning screenwriter Aaron Sorkin turns a seemingly unfilmable subject – last year, the development of Facebook, this year (gasp!) the economics of baseball – and turns it into a must-see movie. 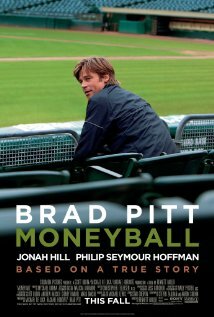 Co-written by Steve Zallian and directed by Capote‘s Bennett Miller, this story of a guy who helped revolutionize the way the game is played has become Brad Pitt’s best chance yet at winning an Oscar. You’re probably wondering why a low-budget horror film that never even saw a wide release is ranked so high on a list of best pictures (or why it’s ranked with them at all). Maybe it’s because the script is so darned funny. Maybe it’s because the three leads who are all better known for their TV work are so pitch perfect. Maybe it’s the fresh take on a well-worn genre. 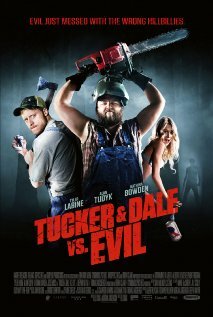 The truth is that the combination of all those things have turned Tucker & Dale into an instant cult classic; it’s the kind of film you watch and then make all your friends watch. There is a die-hard fan-base for this film already, and it’s only growing. Unlike a lot of the great films you’ll see this year, this is one you’ll want to watch over and over again. The sprawling epic of a boy wizard and the villain with the name nobody wants to say came to an end this year, with good triumphing over evil, precious lives being sacrificed, and some long-repressed Ron-Hermione snogging. 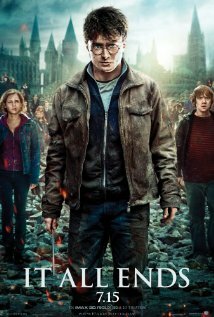 This franchise seemed to get better with age, thanks in no small part to the careful direction of David Yates, who directed the final four films. Take pride, Potter, you were far more enchanting than those sparkly vampires who came after you. 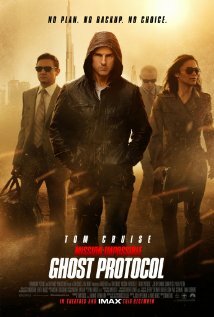 The real impossible mission here was taking a fallen star with a soggy reputation and injecting him into the fourth entry in a dusty franchise and making it something worth seeing. But in his live-action debut, Brad Bird, best known for the beloved animated films The Incredibles and The Iron Giant, did more than just that: he made the most breathtakingly exciting action film in years and proved himself to be a director capable of miracles. Based on the popular novel by spy master John le Carré, this second adaptation (after the 1979 mini-series starring Alec Guinness) features a riveting lead performance by Gary Oldman and an all-star cast that includes last year’s best actor Colin Firth. 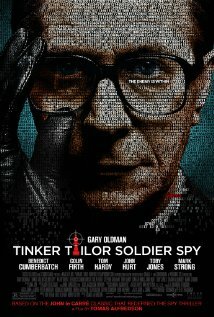 As gritty and deliberate and James Bond is flashy and propelled, this Cold War-era espionage thriller will keep you guessing as Oldman’s George Smiley seeks to root out a mole in the highest ranks of British intelligence. 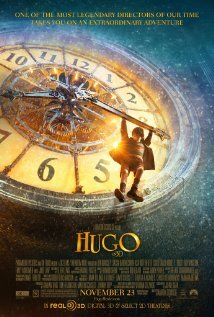 Based on the Caldecott-winning children’s novel The Invention of Hugo Cabret (still not sure why they felt the need to shorten the title to something far less interesting), this family-friendly entry into the canon of Martin Scorsese starts like a steampunk-lite mystery and ends as an entrancing tribute to the early days of filmmaking and the importance of film preservation. Betcha didn’t see that twist coming. And who better to make a movie about the magic of movies than Marty? 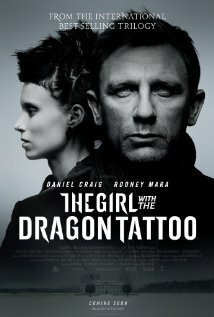 Billed as “the feel bad movie of Christmas,” David Fincher’s gritty adaptaion of Stieg Larsson’s popular-yet-controversial novel about a disgraced journalist and a disturbed genius hacker who team up to solve a murder (and uncover something more horrific) features a star-making performance by Rooney Mara and another engrossing score by Trent Renzor and Atticus Ross. At times it’s not easy to digest, but it’s a film that sticks with you. Fincher, truly one of the greatest filmmakers working today, manages to make something epic out of Larsson’s imperfect prose. Honorable Mentions: The Tree of Life, The Trip, The Guard, Hot Coffee, The Muppets, Take Shelter, Tabloid, Incendies, Contagion, Midnight in Paris, Super 8 and Crazy, Stupid, Love. So now The Haiku Review wants to hear from you. 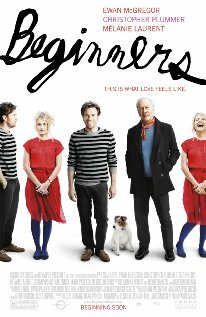 What were your favorite movies of 2011? Do you have a movie-related haiku of your own you’d like to share?